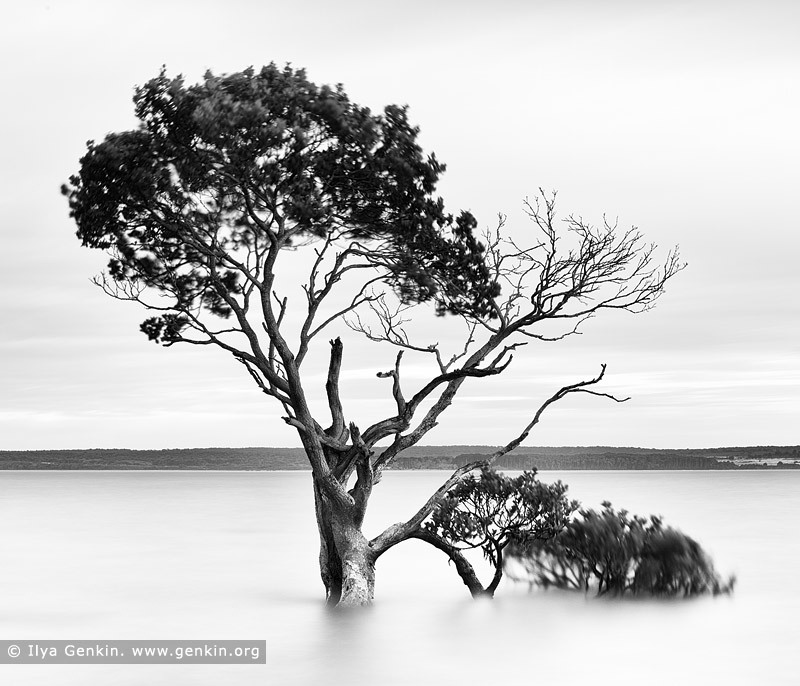 Beautiful black and white photo of the mangroves with long exposure at high tide from the picturesque shores of Tenby Point on Western Port Bay, Victoria, Australia. This image belongs to the travel and nature stock photo library. This stock photo of Mangroves at Tenby Point is available for licensing for commercial and editorial uses including websites, blogs, books, magazines, brochures and advertising. Restrictions may apply for images which contain third party copyrighted material or sensitive subjects. Photos of artwork are for editorial use only. This image id AU-VIC-TENBY-POINT-0001 of Mangroves at Tenby Point, is copyrighted © by Ilya Genkin. This is not a public domain image.